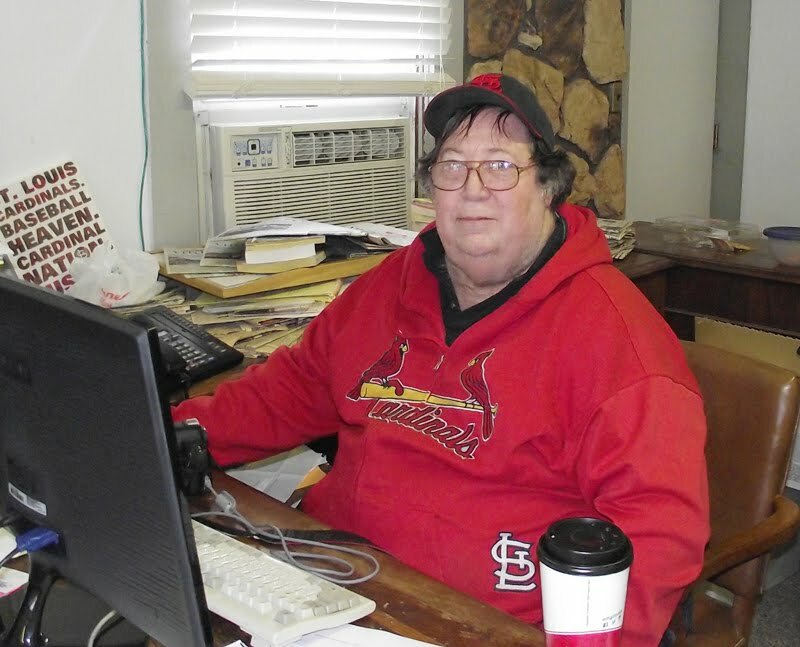 The April 2, 2015 issue of the Troy Times-Tribune is available. 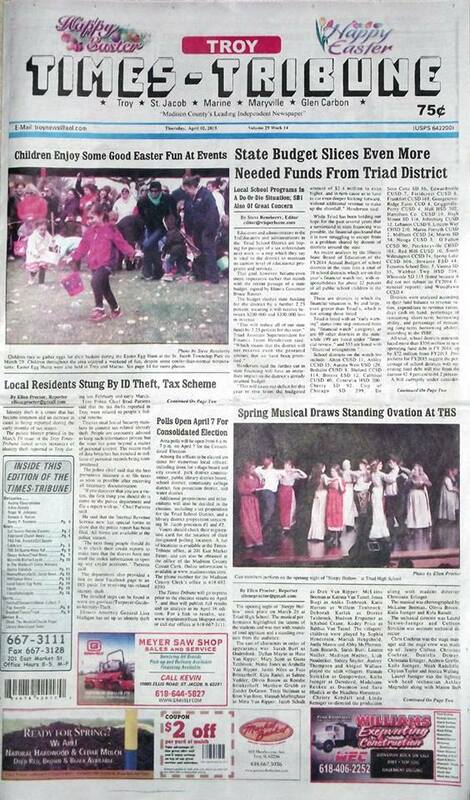 Some of the headlines in this issue: State Budget Slices Even More Needed Funds From Triad District, Local Residents Stung By ID Theft Tax Return Scheme, Spring Musical Draws Standing Ovation at THS, Polls Open April 7 for Consolidated Election, District Releases Third Quarter Honor Rolls, Lady Knights Hammer Oilers; plus we have police blotters, an editor's column about the future of one of the Metro East's largest manufacturers, our usual “It Happened Here” history page, and lots and lots of news about upcoming events. This edition has obituaries for Roger M Johnson, Arline Jaconis, Bernice A. Norton, Audrey Klaustermeier, and Nancy P. Resmann (pending). As a reminder, subscriptions to the Times-Tribune are available by calling 618-667-3111, by visiting our offices at 201 East Market Street in Troy, 8 a.m. - 5 p.m., Monday through Friday, or by sending us a letter asking to subscribe. To place a display or classified advertisement, please call or stop by our office.